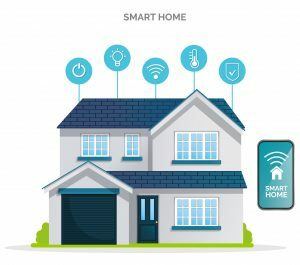 Can My Smart Home Devices Help or Hurt Me in a Florida Family Law Case? The age of the “smart home” is undoubtedly upon us, and devices control our room temperature, change our television channels, and even tell our children stories. We have come to not only rely on their safety measures, but also embraced how they make our lives easier. At the same time, the smart home devices are keeping tabs on what we do, say, and where we are. Could Amazon’s Alexa help or hurt you in a family case? Most of the smart home devices, like Google Home, are activated upon a “wake word,” or action like approaching a front door, which causes them to not only respond, but also record their surroundings. The recordings are stored remotely, and can be reviewed at a later date. Recently, a murder case in Arkansas brought the question of whether Amazon would be forced to release the smart home device information to determine if the recordings would shed light on who committed the murder. Currently, the question of whether Amazon will have to release remains unresolved, but if so, it will then become a question if the recordings may be considered by the court in determining the case. Clients routinely ask if evidence that they have gathered can be used in court, and many times the answer is yes. Conversely, while the recording or evidence may be kept out of court, they can still be considered by counselors, therapists, or other experts, whose opinions will be heard by the court. Regardless of whether the recordings could be used in court, the impact of the smart home on a family law case is far reaching. Perhaps, a cheating spouse could be caught because the cheater is not home when the cheater states that he / she is home. A conversation about a spouse’s actions and plans could also be captured by a smart home device. In many instances, the device recordings are kept on apps that the other spouse can either watch or listen in, and know what is going on. In other cases, like domestic violence, the abuser might be the holder of the smart device app, where even if the abuser is under a injunction to stay away from the home, the abuser could still monitor the victim remotely. The abuser could know when the former spouse / former partner is home, or even change the environment of the home to turn on/off lights or change the room temperature to an unbearable setting. These considerations are important when drafting requests for protection or information in a Florida family law case. Having an experienced lawyer represent you may help reduce or eliminate the long arm or technological reach of the abuser. Unlike technology’s fast pace of development, the law takes time to catch up, and currently the status of whether smart home devices can be used in court remains uncertain. Divorces, domestic violence, and child custody cases can get messy. Consulting with an experienced Florida family law attorney about how your smart home could be a source of information that could help or hurt you is important to your case, not only depending on whether the court will allow it, but also how to protect yourself during your family law case. Wood, Atter & Wolf, P.A. has been serving clients in family law matters since 1957. The firm is based in Downtown Jacksonville and handles cases in Duval, Clay, St. Johns, Baker, Nassau and surrounding counties. The firm offers a free book on family law issues titled Florida Family Law – Enforcing Your Legal Rights and Rebuilding Your Life. You can get a free copy of this book at Florida Family Law Book.